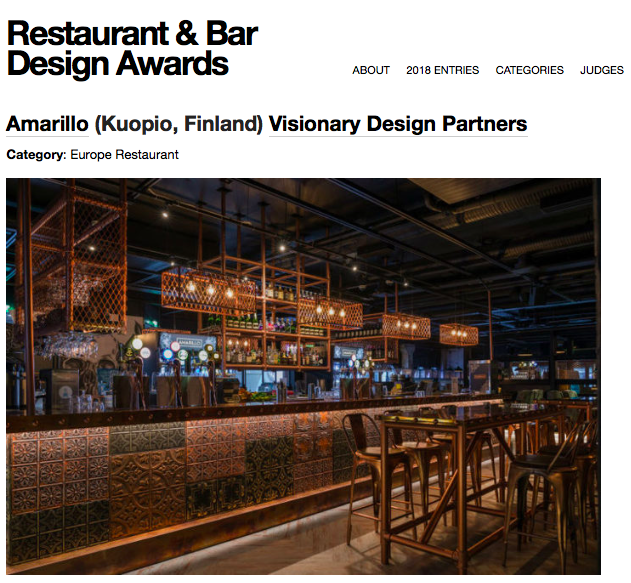 We are extremely happy and honoured to be shortlisted with the Amarillo Restaurant project in the 2018 Restaurant and Bar Design Awards. 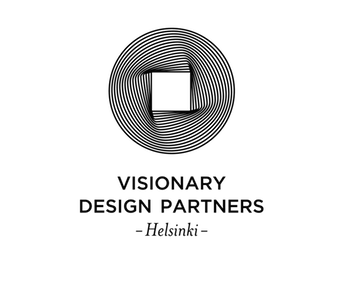 The Amarillo Restaurant project has been designed by Visionary Design Partners Helsinki in cooperation with our client SOK. 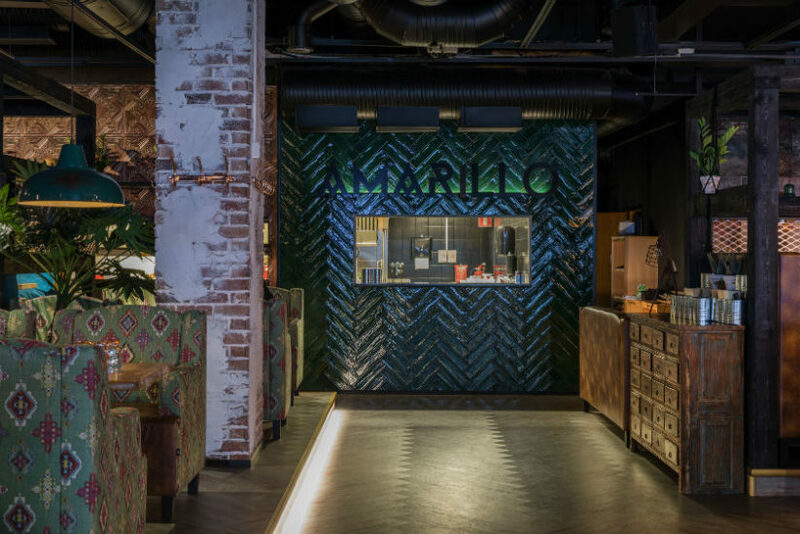 Now in its tenth year, the Restaurant & Bar Design Awards is a globally recognised competition dedicated to the design of food and beverage spaces. The 2018 awards received over 900 submissions from the UK and 70 other countries. These entries cover every imaginable hospitality space; From ships to airports, museums to burger vans, from revered Michelin-starred establishments to the fleeting dynamism of pop-ups. Past judges from hospitality, design and lifestyle media include Tony Chambers (Editor in Chief of Wallpaper*), Alberto Alessi, Marcus Wareing and Thomas Heatherwick. The Restaurant & Bar Design Awards announces the shortlist from the 2017/2018 entries. The shortlist includes 257 projects across 34 categories from the world’s leading architects, interior designers, lighting designers and restaurant and bar operators. The winners of the 2018 Restaurant & Bar Design Awards (including Best Overall winners) will be announced during a ceremony at London’s King’s Cross on the 4th October 2018.